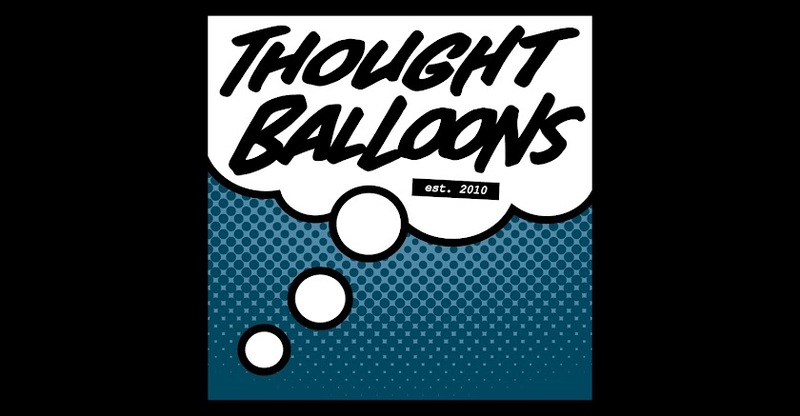 Thought Balloons - Creating Comics One Page At A Time: Why Dex Parios? In a sense, it's all about Portland. About a year and a half ago, I went down to Emerald City Comic Con on a near whim. 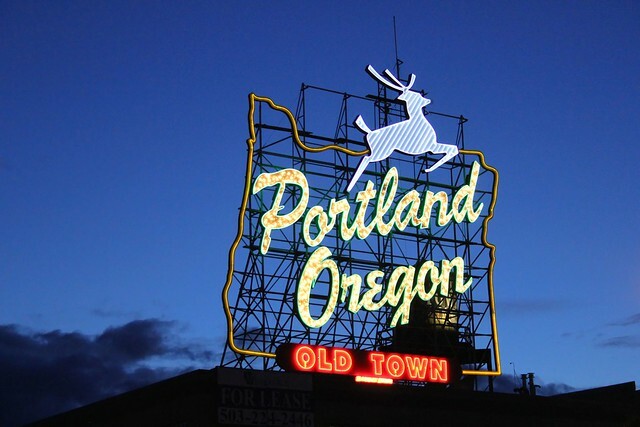 I was going to be flying to the West Coast for the first time in my life and figured if I was already out there, I may as well extend the trip somewhat to go check out a nearby city I'd been hearing a lot of good things about: Portland. Portland was something of a revelation. It's a beautiful city that has an amazing vibe to it. I might be romanticizing just a little bit, but one thing that I found particularly irresistible and amazing is the city's seemingly intrinsic appreciation for the arts. It's hard to explain, but everywhere you go you can't help but notice it - it's almost like there's something in the air. I know I might be overstating things a bit, but there are few places where I've found myself happier than Portland, Oregon. So what does this surprisingly long tangent have to do with Stumptown? In one sense, not a heck of a lot. But in another, quite a bit. Stumptown, originally published in 2009, was one of the first comic book series that I actively sought out based solely on the creator behind the book instead of because of the characters on the cover. Simply put, Greg Rucka's name is what got my foot in the door. And am I ever glad it did. I met Dexedrine Callisto Parios, a hard-headed private investigator who is loyal to a fault and gets the job done - no matter the consequences. These are only some of her many qualities, but one thing she definitely isn't is boring. 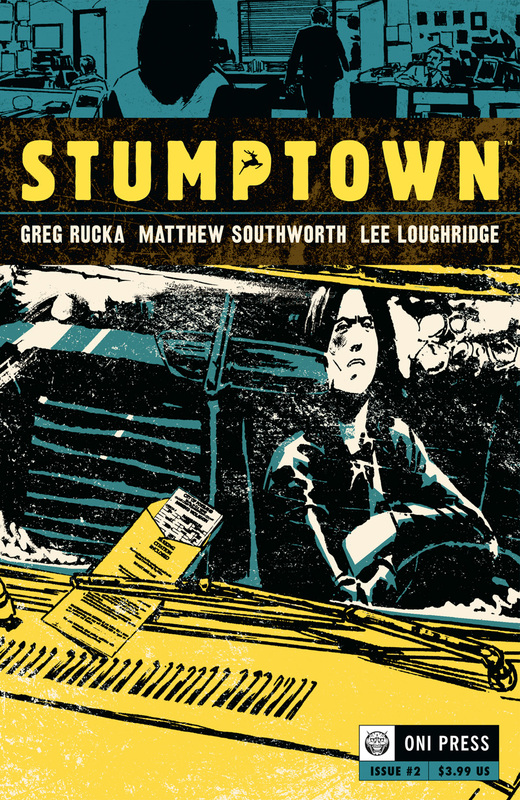 Stumptown may not necessarily be quite as flashy as some of the other stories or properties that Rucka has lent his prodigious talents to, but it is easily one of my favourites. I devoured that initial miniseries and was thrilled when a second (equally enjoyable) volume hit shelves in 2012. In the back matter to one of the issues, Greg Rucka writes about the importance of place to literary PIs. As he puts it, where the character is based is just as important as who that character is. And Dex Parios has Portland. I understood this on an intellectual level when I initially read it, but actually visiting Portland let me understand it on an emotional level, too. Coming back to the series after my trip to Portland, I found myself experiencing it in a completely different way. I'd always enjoyed Stumptown, but re-reading was like looking on it with new eyes. It suddenly mattered a lot to me that Dex's office was at Union Station, that she goes to Timbers games, and that she was shot beneath St. Johns Bridge - to name but a few examples. All these things that were minor details were now integral elements to the characters and to their world. So I hope you'll join me this week to explore the city and the comic book series that I love so much.